It's Saturday, it's summer and, although he doesn't know it yet, everything in Adam Thorn's life is going to fall apart. But maybe, just maybe, he'll find freedom from the release. Time is running out though, because way across town, a ghost has risen from the lake...This uplifting coming-of-age novel will remind you what it's like to fall in love. His mantelpiece must already be groaning under the weight of his many awards; accolades that include the Carnegie Medal (which he’s won twice), the Costa Children’s Book Award, the Guardian Children’s Fiction Prize, the Red House Book Award and the Booktrust Teenage Prize. His novels include the bestselling trilogy Chaos Walking, More Than This, The Rest of Us Just Live Here and The Crane Wife. 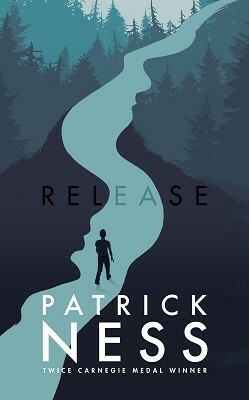 Patrick Ness is one of the most startlingly original and thought-provoking of contemporary novelists. His writing has garnered a wealth of awards including the Carnegie Medal (which Ness has won twice), the Costa Children’s Book Award and the Guardian Children’s Fiction Prize for novels including the bestselling trilogy Chaos Walking, and books such as More Than This, The Rest of Us Just Live Here andperhaps most famously, the extraordinary A Monster Calls. Eighteen year old Adam Thorn blonde, tall and hansom. Reading this book was a little bit torturous for me.